In just a few days another installment of Marvel’s Thor will hit theaters (Thor 2 The Dark World) . It will undoubtedly be #1 at the box office over the weekend. This time Thor returns to Earth to help save mankind from an evil force not of this earth. It will be an action packed movie with lots of special effects, some romance and the underlined theme that the World is in need of a savior. I find it interesting that Thor is the son of a god (Odin). Thor comes to Earth to save mankind from evil and death. To me there is a deep underlining parallel here to Christ. Last year the Avengers was a world wide success and financial money maker. The entire Marvel franchise is well over a Billion dollar industry. Why has their movies received such international success and acclaim? Naturally people of all ages enjoy a good action film, but beyond that I believe there is this underlining innate longing to be saved and to have find a savior from life’s worries, fears and heartaches. Every person on earth can most likely relate to such a longing. There is something remarkably missing in our hearts that cannot be rectified from the inside alone. We need an external force to save us. Jesus came to this earth seeking to save the lost (Luke 19:10). Why did He come? Because we could not, in our own power and strength, save ourselves from the trappings of sin and death. We needed an external force to grasp us by the hand and pull us to safety. Since the fall of our first parents, Adam and Eve, we have lived with sin in our world. We have all fallen short of the glory of God (Romans 3:23), and we are in dire need of one who can save us from certain death. This is why, I believe, we respond so passionately to superhero movies like Thor(2) and others before it. We crave saving. We long for deliverance. We look around us in our world and we see evil and hatred, sickness and death, and we pray for those life ending threats to end. We turn on the news and witness another violent shooting in a mall or another systematic genocide taking place on this planet and we wish such stories would end. We long for a savior to come and save us! 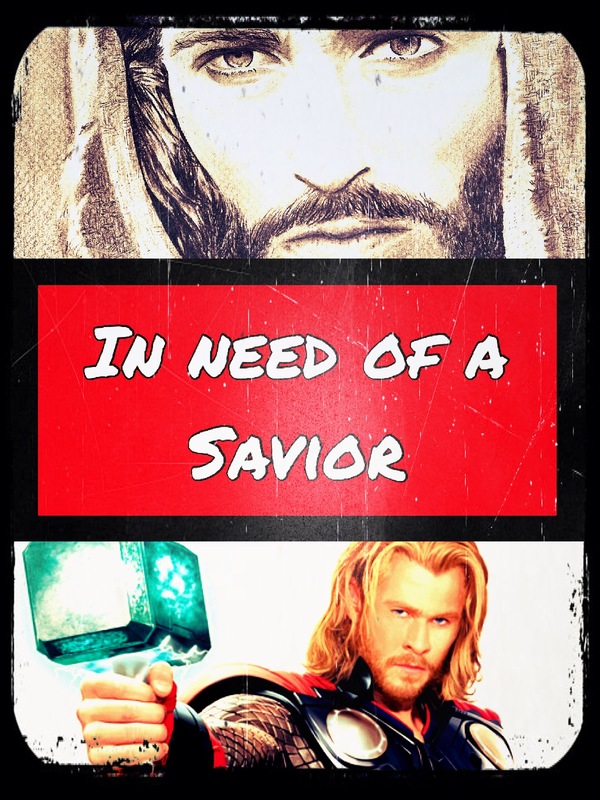 We are all in need of a Savior. Though we enjoy a good flick about Superheroes now and then, we can recognize that we have already been saved and that new life can start today with our love and devotion towards God and His image reflected towards those around us.